The way in which the United States government is treating it's veterans is sure a hot topic today, but unfortunately, it's a phenomenon with nothing new to it. Indeed, the U.S. seems to have a track record of mistreating its veterans that, at the very least, goes all the way back to the First World War, the horrors of which were soon unjustly overshadowed by the second one. As it happens, with the Great Depression in full force, many American veterans from WWI found themselves in abysmal living conditions, eventually leading to the infamous incident involving their coalition named the “Bonus Army”. 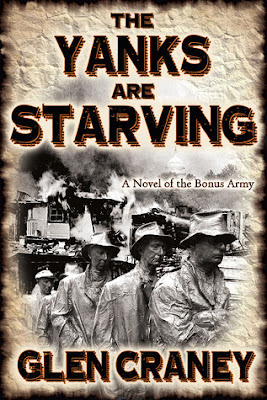 In his book The Yanks are Starving, Glen Craney takes it upon himself to provide a novelized account of the history behind the whole thing. He does so by following the lives of a few individuals until they finally coverge in Washington D.C. in 1932. Some of them are actual historical figures, while others are amalgamations of various personalities. Of the real historical figures we have Herbert Hoover, Douglas MacArthur, Pelham Glassford, Walter Waters, Floyd Gibbons, Joe Angelo, and even George Patton. After that, we have the nurse Anna Raber and the African American musician Ozzie Taylor, who are composites of people who were lost to history, the former represnting those in the medical field with pure motivations, while the latter stands for the African American veterans who were part of the “Bonus Army”. Burden is sometimes a complicated concept to understand, especially when combined together with family dynamics. The missteps of one family member often cast a shadow over the entire name, one that is often extremely difficult to clear... especially when the culprit him/herself in question is nowhere to be found, leaving only the other members to pay for transgressions they did not commit. 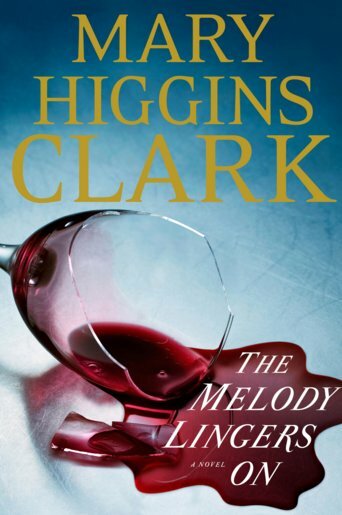 This is the sort of situation Mary Higgins Clark puts the Bennet family in The Melody Lingers On. In this relatively short novel, we are first presented with Lane Harmon, the assistant of a famous interior designer Glady. They are both called upon to help decorate a townhouse condo for Anne Bennett, wife (or perhaps the widow?) of Parker Bennett, a man suspected of stealing millions of dollars from a fund he managed. The only problem is that Parker has been missing for over two years, leaving his wife and son Eric to bear the burden of blame. 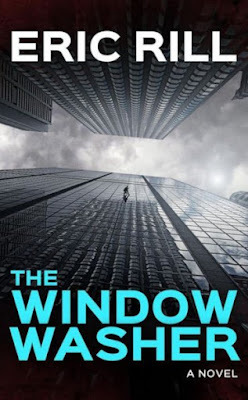 Though Eric is suspected of being involved in his father's plot, he vehemently professes his innocence and Lane ends up on the path to helping him clear his name, and in the process looks to unravel the whole story and bring the culprit(s) to justice, whoever they might be. To make matters a little more complicated, one of Parker's elderly victims, Ranger, blames the man and his family for stealing his money and making him unable to provide proper care for his wife who, as a result, passed away. Vengeance is his sole remaining drive, and he swears it upon the Bennett family. We are certainly rather thankful that the time of monarchies and warring kingdoms has, for the most part, come to an end while leaving place for a more peaceful and civilized kind of society. Nevertheless, these bygone times stir our imaginations, leaving us in awe at the thought of the grandiose battles, conquests, and political chess games that must have transpired over the ages. 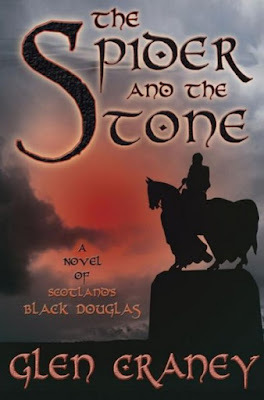 The further we look back through time, the more facts and legends tend to mix together, and there are few authors who make such masterful use of that phenomenon as Glen Craney in The Spider and the Stone. Set during the Scottish Wars of Independence, the novel tells of a rather epic story, the legend of Black Douglas (real name James Douglas) and his childhood friend, Robert the Bruce. Craney takes us on a historical trip where truth and imagination mix together seamlessly, recounting the dawn of the 14th century in Scotland in a much more entertaining fashion than we are used to. We are introduced to Edward Longsharks and his schemes to steal the Northern Kingdom, the frail and young Douglas who takes up arms and defies three monarchs of Plantagenet while helping his friend Robert with his plan to lead his men to a glorious battle on the field of Bannockburn. In 1992 a young man by the name of Christopher McCandless made all the headlines for the most tragic reasons: he gave away all that he had, got rid of all the Earthly possessions he could think of, headed off into the American wild, and was found dead four months after the start of his adventure in April. Needless to say, he became the source of a national obsession, with countless people pouring their resources in reconstructing not only his great adventure in the wilderness, but also the mindset that pushed him to such incredible extremes. 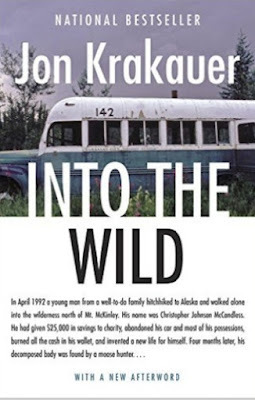 In Into the Wild, Jon Krakauer does just that, attempting to depict a complete picture of McCandless life before and after his ill-fated journey. As one would expect, Krakauer begins by looking at the socio-economic context in which McCandless was raised, taking care to describe the people who surrounded him, his relationships with his family members, his own personal tendencies and philosophies... etc... etc... Basically, it could be called an attempt to retrace the development of his mind to form a psychological portrait, one that could potentially explain why he made the decisions he did. There are more and more details to be found as Krakauer approaches to the start of McCandless' quest, up to the smaller, mundane activities that he would perform for the last time. 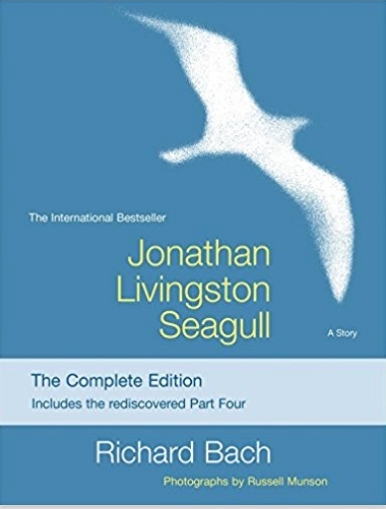 In his timeless inspirational work, Jonathan Livingston Seagull, Richard Bach opened the eyes of countless readers in the world to the potential hidden in each and every one of us to fully realize our dreams and ambitions, no matter how much they go against the grain. To Bach, flying isn't just a physical act, but rather, a mental release that can take us to unprecedented heights of personal achievement and understanding. And so, it shouldn't come as a surprise that the spiritual sequels to the afore-mentioned novella, Illusions and Illusions II, are once again centred on the idea of taking to the skies. 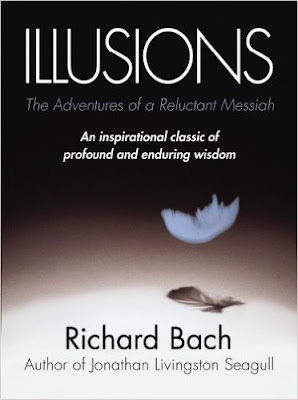 In the first part of the sequel, we get to make acquaintance with Richard Bach himself as a disillusioned writer who chooses to put all the remaining faith in his world into his propeller bi-plane. Quite soon though, he meets a self-declared messiah, Donald Shimoda, who helps take Bach's imagination to grandiose new realms high above anything he's ever dreamt of, learning many important lessons along the way about the true power of the human mind. In the second book, published thirteen years after the first one, the author further continues his story, placing his accent on an event that defined his life for the rest of his days: a near-death experience as his plane struck high-tension wires and crashed inverted. Perhaps miraculously, Bach survived it all and awoke from his coma... only to conquer the skies once again soaring as high as he ever did and returning to his true passion in life: literature. Comedy is the most difficult dramatic genre. And even if you are creating great jokes, it’s not a fact that you’ll be able to transfer them to the paper. Writing is hard. And the funny writing is even harder. 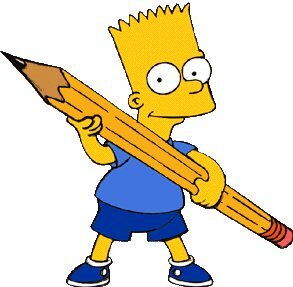 To write funny dialogues and miniatures is the innate ability. But still, if you have some rudiments of the talent you can develop it. Once, Tim Allen in the interview was asked about the sense of humor. He replied: “This is a magical gift to be funny. I don’t know where it came from, and I am terrified of losing it.” Why some people are born with the ability to track and field, and the others are not? The same happens in humor. Creators of comedies don’t always know the foundations of real funny and fascinating story. But there are such bases. If you want to work in the comedy genre, you need to know them. This post is the result of the observation and careful analysis of what elements are used in comedies, which have taken a worthy place in the minds of readers, and brought money and glory to their crafters. Here you will find 9 ways of how to captivate and amuse the reader. You will know how to write a comedy that could become classic, raising moods of millions of readers from year to year. If you as a writer like this goal, then let us begin. In the comedy, as in other genres, the primary task is to captivate the reader. To captivate, and then make laughing not letting him get bored. For this purpose, it is important to combine the elements that cause concern and laughter. The idea that we can do anything we'd like to as long as we try hard and apply ourselves, while cheerful, is rather unrealistic in its appraisal of modern human life. As it turns out, the overwhelming majority of us have various responsibilities, not to mention innate abilities as well as deficiencies. Pursuing one's passion often takes an incredible amount of dedication, patience, and most importantly, sacrifice... something illustrated rather acutely in Richard Bach's timeless classic, Jonathan Livingston Seagull, which was recently published once again with a new, fourth part added to it, one that Bach decided to finish only recently. To give a basic overview of the plot, we are presented with Livingston, a seagull who isn't quite satisfied with the life set before him. The constant squabbles and bickering over food push him to see the emptiness material possessions bring, and his focus slowly shifts to his great passion: flight. Though he gets better and better at it, the other seagulls begin to shun him for the different path he walks, eventually exiling him from their society. Undeterred by this turn of events, Livingston adamantly pursues his great dream, and eventually makes the acquaintance of other outcasts like himself who devoted their lives to the secret of flight. With the help of an enlightened mentor, Jonathan soars to new heights and acquires powers untold, eventually prompting him to return to his former world and spread the word through his own teachings. While tales of extraordinary adventures consistently give us an urge to break the mold and seek out excitement, most of us realize that in real life, stability and security are the way to go, at least for a majority of people. We strive to achieve that perfect balance in life, one where we feel safe and fulfilled... and most of us do, but there always comes a day when some outside force tries to knock it all down. Moments like those are defining for many of us, as they certainly are for Nick Grant in Eric Rill's The Window Washer . Straight away, the book begins with the utter shattering of Grant's idyllic world: his house burns down, his wife is found dead, his son is in critical condition, and on top of everything, a mysterious body turned up in the basement. In response to this extraordinary change of pace in his life, Grant decides to move away to the infamous “The Bottoms”, a slum in Columbus, Ohio where the underworld reigns supreme. Falling down a path of drugs and alcohol, Grant's fate becomes ever-more twisted as he makes the acquaintance of Angela, a woman with a duplicitous secret of her own. Rather quickly, Grant gets sucked into that dangerous game played by the forces of good and evil, becoming an unwitting key player in unravelling a far-reaching net of corruption, greed, deceit and blood.